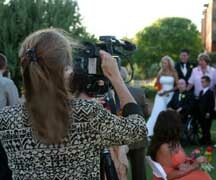 Sedona Wedding Video filmmakers for your Sedona wedding! Joe has been a playing with cameras all his life. When he discovered video, the addition of movement and sound to still images created a new passion for him, and he now takes a video camera wherever he travels. 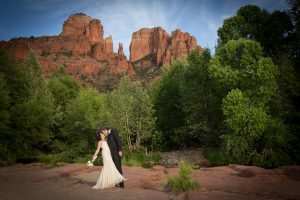 As one of the Sedona Wedding Video filmmakers, he gets to be out in the Sedona red rocks he loves! Thank you, thank you, thank you! Our wedding video is exactly what we had hoped. Than you for helping us preserve our memories for a lifetime. Oh my goodness!! You outdid yourself on my video!! It was amazing. I’m sorry I didn’t call you, but I didn’t want to bother you during Christmas, but I was out front and the mailman walked up to me and handed me my mail. It was Christmas Eve day. We watched it 3 times, then we took it to Tiffany’s on Christmas day and watched it some more. It is so incredible that we can’t take our eyes off of it and the music you put in there was so perfect too. It is soooooooo me!! Thank you so much, Leslie and we hope to run into you in Sedona again. We can’t wait to go back!!! I just wanted to say that we LOVED the video!!!!!!!!!!!!!! It was so nicely done!!! You truly do amazing work and we really appreciate all the time you spent on putting together our video. Thank you also for sending us a couple of copies (with the photo on it)! Our parents loved that! The DVD took our breath away. We intended to watch only five minutes last night since were exhausted and it was late. Of course, we watched spellbound through the entire presentation. We owe you a ton of gratitude for an exceptionally professional job. I thought the editing was superb. Our friends were included to the right degree. The shaman was wonderful. The audio was very clear. Three of the four couples who were present at the ceremony will attend the reception and will love it. I’m sure they will want their own copies. We will show the DVD at the reception on Saturday. Again, Leslie, a superb job. I would recommend you and Brad in a heartbeat. And we have this memory recorded for us to enjoy for the rest of our lives. Thank you.